Football for the blind started out as a playground game for individuals in schools for the visually impaired. It has now become one of the most popular sports for people with a visual impairment worldwide. A few countries, such as Spain and Brazil, set up national championships. Blind football - or futsal, as it is also known - became an official IBSA sport in 1996 when the federation decided to take the game on board. IBSA has two types of football - B1 for footballers who are completely blind, and B2/B3 for players who are partially sighted. 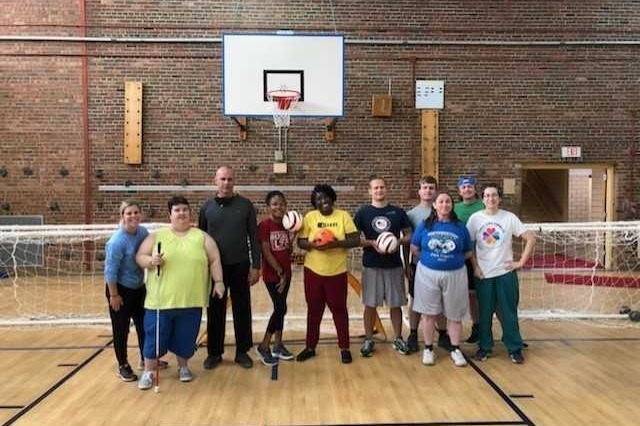 (The United States Association of Blind Athletes) Ohio has brought a Blind Soccer Team to the USA. Our team is located in Columbus, OH. Within the last month, due to our National Blind Sports Day on October 6th, we have gained seven blind athletes and four volunteers. Right now we are hoping to raise 5,000 over the holiday season. Feel free to look us up via our website and social media. Our Coach, Katie Atkinson, is happy to respond to any questions.